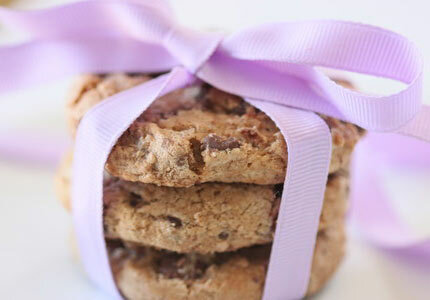 I posted a short tut about cookie photography some time ago , this is a post I really like. 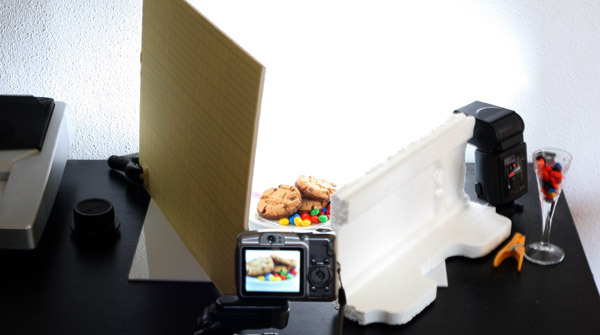 I want to show an other angle about food photography and showcase how easy it is to get really clean images and “catalogue” look by using your pocket camera, some white reflectors and up to one flash light (that costs less than 50$). This might be an intro to anyone who wants to take images with one light on a very tight budget. I know that I’m going to get fat because of this tut, but what the heck, I’ll do anything for some new readers `-). Manual control – So you could set your camera ISO/Shutter Speed/aperture. Flash power control – You need your on camera flash only to trigger the off camera flash , so you must have the ability to shut it as a main light. Two options : 1.You can set it to under expose the scene (-2ev will make it really unnoticeable). 2. Power levels control – set it to its lowest power . Off Camera Flash – I used here the YN460II. This flash is the cheapest flash on the market that still has all the strobist functions you will ever need. The best thing about it is that it has a great optical slave. This slave allows as to work or trigger it with our pocket camera’s flash. 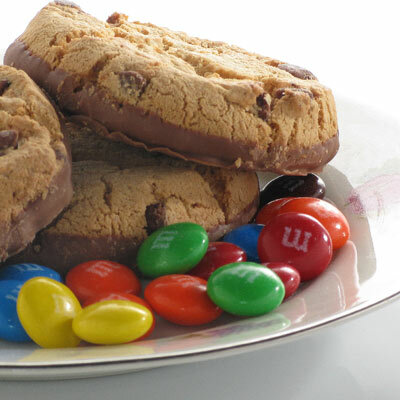 Flash power and settings: Flash power set to a low power, its 1/32th full power and pointed to the wall behind the cookie plate. Now its time to choose between the optical slave modes , S1 optical slave mode works the best with the pocket cameras. Shutter speed – 1/400th sec. Digital cameras has some kind of electric shutter so the flash can sync in most of them upto 1/500th sec. Iso Settings – 80ISO. tryied to get the image as clean as a 5 years old pocket camera could. Aperture – f/8. thats the max i can get with this camera, not much of DOF, so thats why perfect focusing is essential. You should set your camera to the smallest aperture you can set. Using your pocket camera combined with an optical slave flash can add some creative ideas. Loved this post, let us know and show your love by sharing it in your social circles. Horizontal Flash Holder – 3 bucks per unit!!! Jannuary’s Photography Challenge winner is!!! Unusual compositions can create some brilliant results and even waving your camera about without looking can result in the occasional decent image but if you want reliable results when taking a photo of something specific, just spare a few seconds to look at you phone’s display and see how everything is positioned and whether or not it lines up well. A little bit of effort here goes a long way to creating great mobile photos.